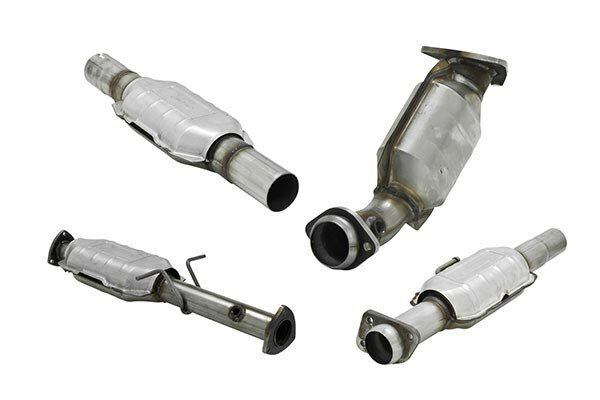 Be aware that many vehicles have more than one catalytic converter. Enter your vehicle information above to see available options. Just because you love the environment doesn’t mean you can’t also love throwing the hammer down. Fortunately, when you bolt on a Direct-Fit Flowmaster Catalytic Converter (Federal EPA-Compliant), you can stay green while still redlining your speed fiend. Every Flowmaster cat is engineered for maximum pollution control and exhaust flow. Built with oversized ceramic substrates, these cats hold huge amounts of precious metals to strip away more toxins from your tailpipes. At the same time, their fast-flowing design helps accelerate exhaust flow for uncompromised performance. Direct-Fit Flowmaster Catalytic Converters are custom-designed to mount in place of your factory gear. They’re built to last from a fully-welded stainless steel casing and come with an integrated heat shield for maximum durability. Better still, your Flowmaster High-Flow Catalytic Converter (Federal EPA-Compliant) carries a 25,000-mile emissions warranty and a 50,000-mile/5-year casing warranty. Great price for high flow cats! I love around with some leaking headers for a long time - a little too long. Damaged the stick cats and the dealer wanted $3000.00 for them. I remember a buddy had to replace his a few months ago on his Toyota and he said they $3000.00. I laughed and said no way, but it's true. Anyway Autoanything saved me alot of money on these and shipped them out fast, minimizing my down time. Truck is back together and running great. Thanks alot. This is my second one. The first one started rattling inside and then died after about 2 years. Hope this one works better. My factory OEM catalytic converters were dead but were very expensive to replace. 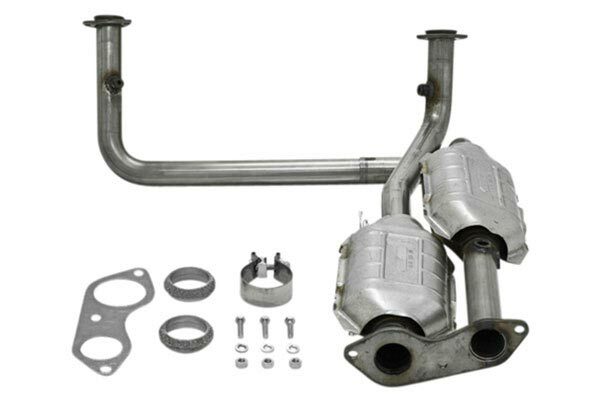 I added these to my Flowmaster cat-back exhaust system. My order arrived when expected and the installation was painless. I don't notice too much of a performance difference but I am still pleased with my overall purchase. I encourage you to use Auto Anything's Live Chat to negotiate the best deal. Thanks Auto Anything!!! Reference # 752-605-884 © 2000-2019 AutoAnything, Inc.